Ralph Woolsey was born before World War I.
Woolsey, who turned 100 on January 1, is best known the cinematographer on more than a dozen cult and exploitation movies of the 1970s, some of them outliers in the New Hollywood movement of innovative, European-influenced studio filmmaking: The Lawyer; The Strawberry Statement; Little Fauss and Big Halsy; Deadhead Miles; The Culpepper Cattle Co.; The New Centurions; Dirty Little Billy; Rafferty and the Gold Dust Twins; Lifeguard; Mother, Jugs & Speed; and The Great Santini. Woolsey photographed The Mack as well as The Pack, and two features for John Frankenheimer, The Iceman Cometh and 99 44/100% Dead. 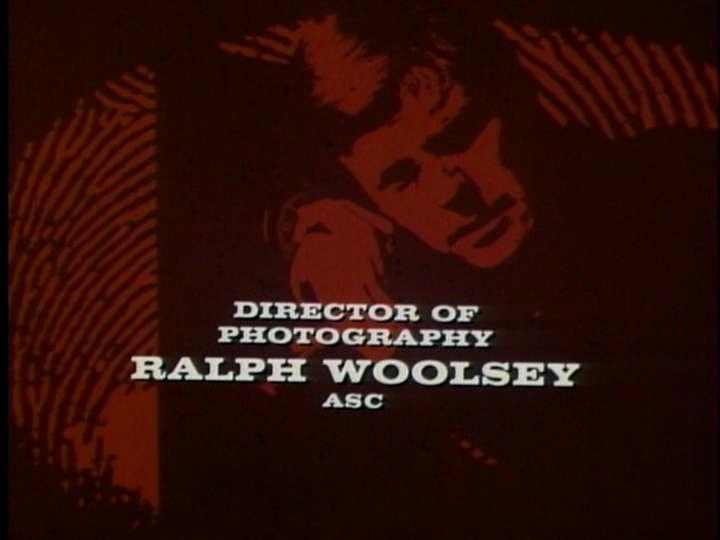 Before he transitioned into features, though, Woolsey was a prolific director of photography in television. 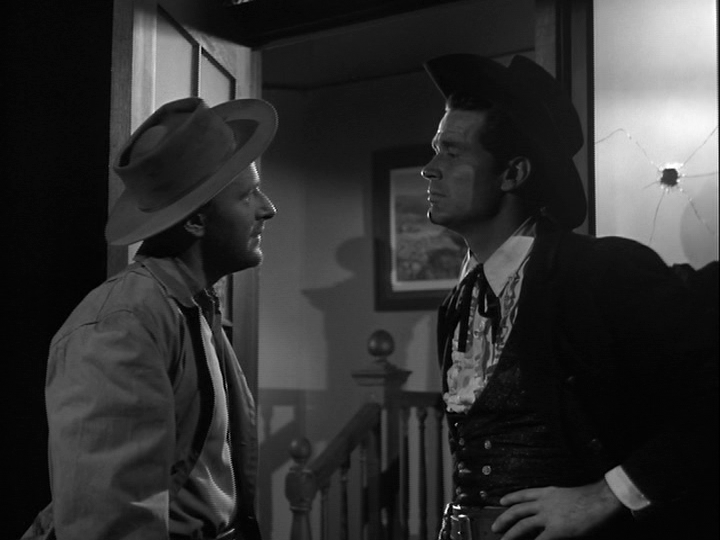 He made a comparatively late entry into the medium via Warner Bros., which needed a large corps of DPs to churn out the suddenly popular Westerns and private eye shows that put its TV department on the map in the late fifties. Fast and cheap, the Warners shows attracted a mix of newcomers and veterans, many of them favored more for speed than talent. After Warner’s television department faltered in the mid-sixties, Woolsey followed 77 Sunset Strip producer Howie Horwitz to Fox, where he became the original director of photography for Batman. Next Woolsey moved to Universal, where he worked on It Takes a Thief (for which he won an Emmy) and The Name of the Game. In June of 2012, I spoke with Woolsey about his career by telephone. Although many of the shows and the stars (especially at Warners, where DPs rotated among a dozen different shows instead of settling in on just one) were a blur, Woolsey had some fascinating, detailed recollections of the nuts and bolts of his profession and of many of the directors with whom he worked. How did you get involved with Warner Bros. in the early days of its television operation? The first show was Maverick. Basically, I was a freelance cinematographer, while I was teaching in the cinema department at USC. I did commercials and things like that. I had an agent who, one day, got me a fill-in job at Warner Bros. I had never worked at Warner Bros., and it seemed like I was just a short replacement for somebody who was sick. I went out there, and Warner Bros. was practically shut down at that time. There wasn’t much going. Television was just getting started. There was sort of a legend around there that television was like poison, and they didn’t want anything to do with it. There were stories about Jack Warner firing actors when he found out that they had TV sets in their dressing rooms. But anyway, they were at the point that they weren’t making any features. They were gearing up to do some television shows. The reason that I got this call was that the cameraman who was going to shoot it – he was a well-known Hollywood guy – was sick. Not only that, the director, who was another well-known Hollywood guy, also got sick. So my job was to replace the cameraman, and the guy who was to replace the director was a well-known figure named Howard W. Koch. He had quite a career at Paramount. Now, all the people were hired and the sets were built and the actors were ready and the makeup people were all geared up to go on my say-so. This was the situation that I stepped in to. So we went to work and everything went along very smoothly. Howard Koch was extremely knowledgeable and didn’t waste any time. As a matter of fact, we were going home on time, which was by most standards of that time was early. Of course, the camera crew tested me like they would a stranger. The new boss steps in and takes over, which meant that I had to deal with the art director and the sets that he had arranged and all the other stuff. But the crew was top-notch and as you might expect at a major studio, the equipment was as good as you could ask for. Then you started working there full time? And it went on from there. I did a lot more, but that particular show happened to be Maverick, and that was Warners’ lead show in the television market. It was a big success. We were using feature picture sets, which actually made some of the very first shows look fantastic. On the other hand, you paid a price, because it took longer to work with those sets. They were more elaborate, took more lighting, and all that. Eventually, of course, they built sets on separate stages just for the television division. Did you get to know the producer of Maverick, Roy Huggins? Well, obviously, he was an organizer. We people in production didn’t actually brush up against [series producers] that much. We didn’t have much personal contact with those guys. Maybe sometimes when you walked out of the screening room you would pass like ships in the night. As long as everything was going fine, you’d never hear from any of them. Which was just as well. At Warners, weren’t you rotated among the different shows rather than staying with a single series for every episode? That’s true. Now, you may have had preferences, like I had, for working with certain directors, and I’m sure that some of the directors had the same experience. Everybody had their favorites. They scheduled everything out, and it was always fun if you were teamed up with a director that you liked, because that director probably would be more inventive. Which directors did you like working with? Let me mention a few: Leslie H. Martinson? Les Martinson made good shows, and I enjoyed the results from working with Les. But he was one of these guys who was always crying about things are taking too long, or [something else]. It was a yes or no situation. You liked to work with him because he got good shows. They were assigned to him and they usually turned out pretty well, but you had to go through a certain amount of hand-holding and all that stuff with him. Like, one day, he said to the assembled group: “I wanted to do this shot but Mr. Woolsey didn’t think it would be a good idea.” I don’t know what effect my – he was just looking for an excuse not to make the shot himself. But that was kind of petty stuff, you know. Why couldn’t he make that shot? I can’t remember the details, but he – early on, while we were using the big sets that were left over from the features, he would see a beautiful staircase in like a hotel lobby and would immediately want to have several people be featured coming down the staircase. Later on, on a television set, there wouldn’t be such a thing at all, because everybody knows it’s a time-consuming element for lighting and action and everything else. So you don’t put that into shows where you want to make some time. He did funny things. He was kind of a crybaby about getting his stuff. Like, he hit his thumb with a hammer one day in a little fit of temper. It almost seemed deliberate, because it swelled up and over the weekend it was worse. Monday morning, instead of having gone to a doctor over the weekend or something, he brought it to the set looking absolutely horrible, [to] reinforce the terrible state that he described himself in. There were some people that [if they] heard they were going to be teamed up with someone, they would refuse to do it. It sounds as if that was a difficult relationship with Martinson. One time I was working at another studio later on when my contract was up, and he was doing a show and he actually asked them to get me. But as soon as I got to do the show, he was the same old guy. However, we respected each other’s limitations, I guess. Oh, Doug Heyes was one of my favorites. He a talented writer, because he wrote some of the best shows we ever did. He was top-notch. He was a lot of fun. On a personal level, we got along very well, and we sometimes would see each other outside of work. Did things like that put you in between the director and the production department? Not really, but of course if they get behind, they’d look for anybody that they could blame. If, say, the producer came over and said, “What the hell is taking so long?” you would be an idiot if you said, “Well, the director just goes on and on and on, doing rehearsals and this and that.” Because there is a true saying that of the entire production, the crew and everybody, only the director and the cameraman are in every shot, and you and the director had better get along. I enjoyed working with Arthur. He was particularly talented working with actors. Yeah, he was good. Workmanlike. Nothing flashy. Just did the job. He would probably be my top favorite. We used to call him George Wag-ig-ner, because of the double G. He got into directing films accidentally. He came to Hollywood from somewhere up north, and he said, “I didn’t even know this was going on.” But George was a very thorough director. He gave a lot of attention to every detail. The sets and the decor, and interesting ways to open a sequence. So you were aware of some of the regular Warners directors as being more visually creative than others? Oh, yeah. That’s certainly true. There were some where you could do a scene in six different ways and they would be just as happy. But somebody like George who would have a definite way he would want to open the scene, by looking through some piece of architecture or maybe a bit of closeup action. Just kicking it off in a more spicy way. Did the directors mainly leave the lighting to you, or did some of them have input into that? The directors had nothing to do with the lighting. No, the lighting was the cinematographer’s bailiwick. And at Warners we had crews who had been working on pictures for years. So sometimes they would tend to be a little too fancy or elaborate for a television show. In other words, you had to say, forget the frosting on the cake and let’s take care of the meat and potatoes first. But there’s always an opportunity where you can make a set sort of perform on its own. Did you prefer some of the Warners shows to the others? Well, first of all, you had to take the attitude that whatever the assignment was for the next two weeks, that’s your favorite show. If they said you had to shoot only these shows for the rest of your life, which ones would they be? You’d probably pick the ones with the most interesting actors. [Or] the longest schedules, which give you more opportunity to concoct something interesting. Which was your favorite among the Warners shows? Tell me about your departure from Warner Bros. 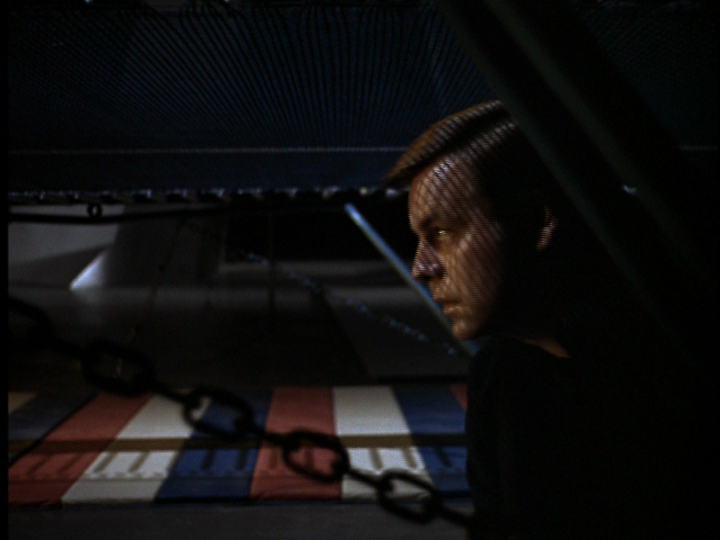 I shot the first color [TV] show there at Warners, Mister Roberts. That was our first color show. [Then] I went over with the producer of Sunset Strip started a show – well, that was Batman. I went over and started that. I think I shot a dozen shows. Did you like doing Batman? Yeah. Mainly because it was something different. We had split-screen situations, with this character Mister Freeze, for instance. Half of the screen would be frigid and the other half of the screen would be normal. And it was always fun working with those actors, because they knew the characters that they portrayed. People like Burgess Meredith, for instance, who played the Penguin, was outstanding. I borrowed the Penguin’s whistle, and he used to blow it with a sort of “honk, honk” sound that everybody knew. I brought it home and blew it for my kids. The other kids heard about it and they all came over and they were nuts about it. Naturally, I had a hard time keeping it from getting stolen, and I had been warned that if that whistle did not come back the next day, I was in deep trouble! Why did you leave Batman? I think we did a dozen or so. They hadn’t been on the air yet, and everybody was running scared about this or that. There was some talk about taking too much time preparing some of the shots. Well, it later turned out they had some prop guys who were drunk half the time, and they were supposed to be preparing or fixing some of the tech-y props that were used on the show. And you had to wait for them really much too long. So somebody had to go, and it happened to be me that time. Fortunately, there was a job [waiting]. I went right back to Warner Bros. Howard Schwartz came in and took it over. So I can claim the first dozen or so of Batman. But people, even today, associate me with Batman. Were you instrumental in devising the visual signature visual of Batman – the extreme tilted camera angles? I don’t know, I was not so crazy about it. I know what they were trying to do – they were trying to give an off-kilter look to the show. But compared to doing things like that later on, just a few years later we had equipment that would make it much easier to do that. It was very clumsy, making those few shots. Do you have any memories of Adam West and Burt Ward? Then you shot the pilot for It Takes a Thief. That grew out of a [made-for-television] feature that we shot up in Montreal during the Expo, with Robert Wagner. We went up to the Expo and shot the picture for Universal, and it was sold to one of the networks as a pilot for what turned out to be the series It Takes a Thief. And you stayed with the show. Yeah, I did maybe a dozen or so, along with some segments of some other TV shows they had going there. What do you remember about It Takes a Thief? The Montreal location for the movie was very enjoyable. Leslie Stevens was the creator and the director. We were friends to begin with, so we could tell each other if something was lousy, or whether we loved it. Talk about ideas, you know. What was he like as a director and producer? A very creative guy. 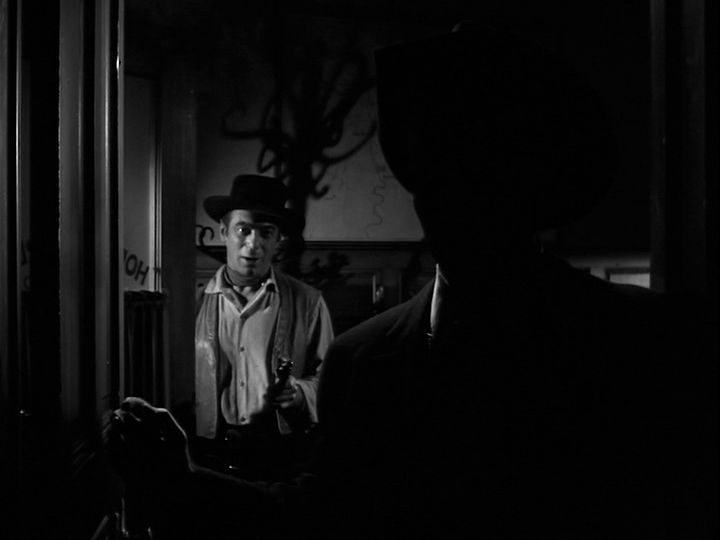 Stoney Burke was one he did, and The Outer Limits. Conrad Hall worked on that, on both of those in fact, and before him, Leslie hired a great cameraman whom we both admired a great deal, Ted McCord. 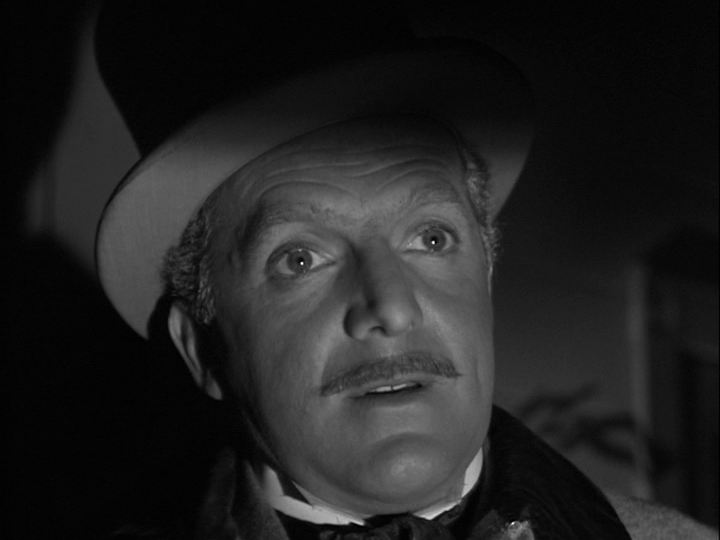 Right, McCord was Conrad Hall’s mentor, I think. That’s correct, because Connie was his operator, and he took over when Ted more or less retired. Connie had graduated from USC Cinema just a year before I started teaching there, so we met a few times but I didn’t get to know him personally too well until somewhat later. Did you expect to become a cinematographer, or had you planned to remain a teacher? I think the teaching came accidentally. I was a cinematographer. During World War II, I was shooting training films for the U.S. Air Force. I was not in the military; I was working for an aircraft company, Bell Aircraft. They were developing the first helicopter. Before we were in World War II, they were selling planes to Russia, and we were making training films as to how you took care of the planes and serviced them. So when we got into the war, that program just got magnified. That’s what I had been doing, so at the end of the war I could call myself a cinematographer. In fact, I was the head of the unit. I came to California, and how I got to USC – let’s see, I knew some people who were shooting non-theatrical films. My working at USC was sort of an accident. I went down there to see the head of the department about something else, and while I was there the head of the department invited me to do some temporary work. There were a bunch of servicemen, Navy people, who were using the G.I. Bill. They had to go back to service and they weren’t getting done, and they hired me and a guy named Irving Lerner to direct these things. The two of us finished all of the projects for these servicemen. Just shot them ourselves, and then Irving edited them. Then the guy who was teaching camera had to leave for some commitment, and they offered me the job of teaching his class. So I did. But I had an arrangement where I could shoot stuff on the side. You won an Emmy for It Takes a Thief. Yeah, that’s true. That was the pilot. What about your work on that show caused it to win, do you think? Well, do you want me to be truthful or inventive? I think if the show is different in its concept or its location, the way the location is used, I think that does a long way to making it of great interest to the nominating [committee]. And of course, that show was shot as a movie. So there was a lot more spent on it. Do you mean it was a feature film, or a made-for-TV movie? [It was] meant for TV, but we did shoot it in a rather sketchy way. In other words, we went there with inadequate lighting for some of the night shots that we did, so we had to get inventive. We pulled off some pretty good night shooting, and I think had some special processing done on the negative, which of course the studio and the camera department fought me on tooth and nail. In the 1970s you moved exclusively into shooting feature films. How did that differ from the work you did in television? There are things that I could and did do in shooting television that I wouldn’t do in shooting a feature. In other words, I could experiment more, and I did. When I was shooting some of these black-and-white Warner Bros. westerns, like Maverick, I fooled around and I even used what some of the people in the production department thought were my secrets. At least, I never told them how I did some of the things to get a certain kind of look. 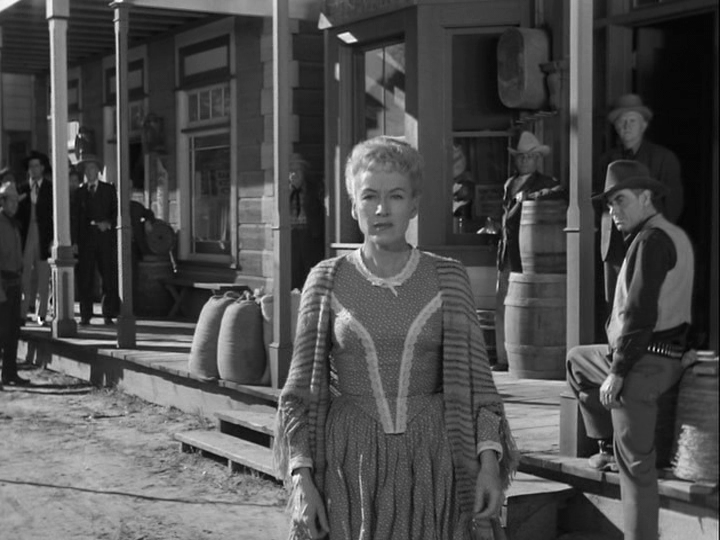 For instance, all the old buildings, the wooden buildings in the backlot that you’d use in a western, like the western street. If you look at real old black-and-white pictures, the buildings all had a certain kind of a look, and it was because the film was colorblind. The sky would be white and anything blue would be pretty white, and anything red would be pretty dark. The more common film, orthochromatic, was sensitive to blue and green but not red. A lot of the old pictures, even some of the early movies, were shot with that kind of film. That had the property of making all the reds look dark. For instance, you would be crazy if you shoot close-ups of a woman with that kind of film, because her lips would go black, or very dark. But there were advantages in getting that look, too. The old buildings really looked old. In the western street scenes, I used a filter combination to get that look. And I didn’t tell anybody what it was. I’d put it in the camera myself, and take it back home with me at night. And in the camera department, they were furious. They wanted to know what it was. Of course, for scenes where I’d shoot close-ups of women, I wouldn’t use it. But it did lend a very authentic kind of an old-time look to the buildings. Who do you remember among the many other cinematographers working at Warner Bros. at that time? The images above are taken from the three first season episodes of Maverick that Woolsey photographed and the pilot for It Takes a Thief. Tags: Batman, centenarians, cinematographers, Douglas Heyes, george waGGner, It Takes a Thief, Leslie H. Martinson, Maverick, Ralph Woolsey, Warner Bros. Thanks for sharing Stephen. The cinematographer tends to get overlooked, but this interview reminds us of their vital importance to the finished project. I especially enjoyed Mr. Woolsey’s recollections of the directors he worked with. I doubt it violates union agreements, at least not enforcibly; the credits for modern shows routinely get squeezed or shortened. All you can do is boycott ’em! Watch the DVDs instead. “Well, everybody on the crew used to say, “Those two should save their money.” Wonderful. Thanks, Stephen! The theory is that I’m saving it, along with some others, for a book. In practice, we’ll see how that works out, since I have no idea where I’ll find the time to put it together. One quick question, just if you remember, was Haas pleased with how Moonrise turned out? I was surprised to read in Dumont’s book that Borzage had mixed feelings about the result (because of the violence) and I know Haas wanted William Wellman who I think would’ve made a very different, less romantic picture. I wish this exchanged had happened under my obit for Haas, but: Yes, he said he was proud of Moonrise. And he was generally complimentary of Borzage’s work, in spite of his preference for Wellman, and they had a good relationship. Essentially Haas claimed to have taken control of certain directorial choices through his roles as writer and producer — the implication being that he did so to a greater extent with Borzage than he would have with Wellman. It’s great to know that Ralph is still with us and still as bright as ever. In the 1950s, as our teacher at USC, he taught us the tricks and the hard work that go into production, and he set us on the path toward rewarding careers. Ralph’s skill and his willingness to cheerfully work with a variety of idioms, styles, budgets and personalities have made his life-story an ongoing lesson. When I meet Ralph from time to time, I always thank him for those great classes — for the notes and information that I’ve saved and used for a lifetime — for the welcoming attitude that’s helped me and dozens of other students to build solid, satisfying careers. Thank you for bringing us his story. And thank YOU, Ralph, for being who you are! Ralph’s gift for teaching continued into his retirement years. One of the most impactful classes I took in the SDSU film department was Ralph’s course on lighting. I still hear his advice today whenever I light a video interview set. « These Images From a Forgotten Sixties TV Show Will Startle and Amaze You!